It’s so simple to make a fancy looking DIY center piece. Get a tray, fill it with tea candle holders and candles. Done. I created my modern turquoise and white candle tray already waiting for terrace season, and I can’t wait to have my deck ready for summer. It’s still been too rainy, and cold, but we are hoping to have our back deck ready this weekend and kick off the BBQ season. We’ll see. Candle tray is an excellent way to bring indoors out for outdoor entertaining. They are great also for balconies and for smaller yards because they don’t require much space. Candle trays with tea candles are great for spots where you can’t add a fire pit, but still would like to add some natural flame. The tea candles are also better for fire safety than tall candles. You can use any type of large tray and then collect various votive holders to fill it. Pick one or two colors or a theme, and it’s OK if they are mix match, that’s the whole point. You can even use washed empty jelly jars, small cups, drinking glasses, you name it. Pretty much any glassware works, and the more you mix the better it will look. Start arranging your tray in the middle and add the highest candle holders in the middle, add tea candles and you are done. I was hoping to find an old tray from a flea market but saw this modern tray in a design store and once I got home I realized I had enough things at home to create a candle tray, and I didn’t have to buy anything else. I didn’t have that many actual candle holders so I used small vases, coffee cups and glasses. I used some of my Finnish Iittala turquoise glassware and added a few old coffee cups my grandmother gave me and filled them all with tea lights. Now all I need is my deck ready and a table outside to enjoy a glass of wine in the candle light with my hubby at nights. 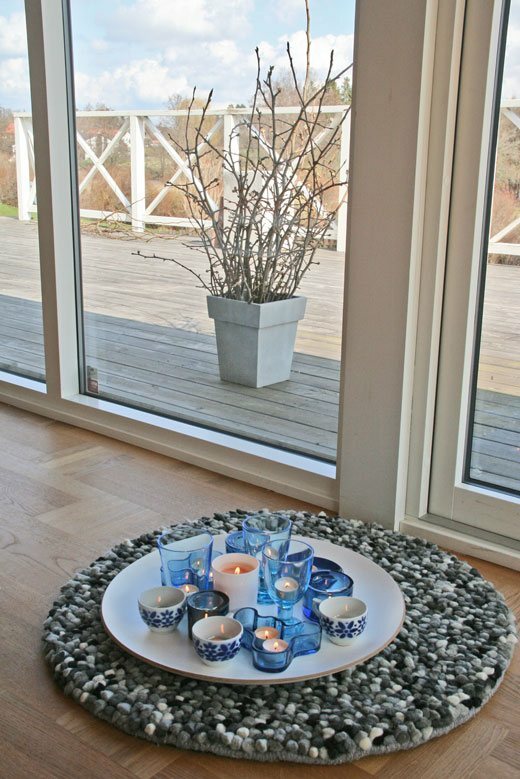 The days are getting longer and longer in Sweden though – and I might have to wait until fall to use my tray outside. If you like some of the items on my tray, here are some of the products I used. Note that I have been collecting these over the years, and I have several different Iittala glasses in turquoise making it easy to mix. You can’t go wrong also when you mix with white or clear glass. 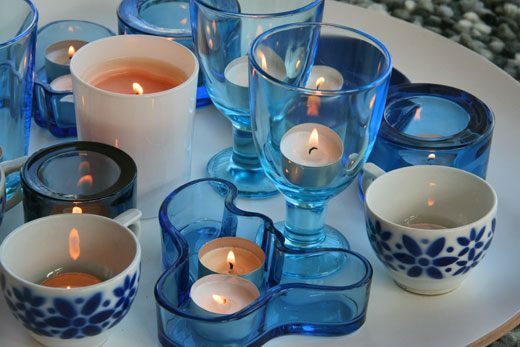 Target, Walmart, IKEA and Kmart – every inexpensive store also sells small colorful tea light holders. Mix the inexpensive things with more expensive designer items and flea market finds and you will get the best mix. One of the best online store selections for candle holders of all colors and shapes is the Luna Bazaar. 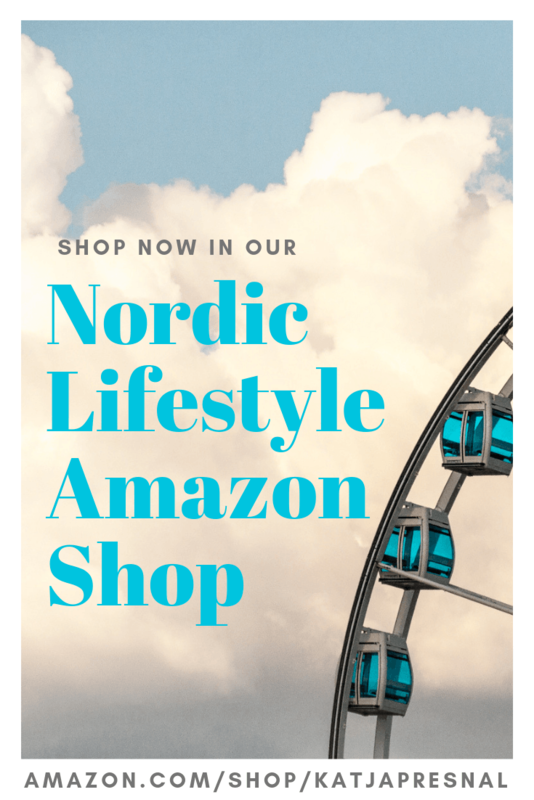 Iittala Aalto mini bowl in turquoise ($120) – I love these for candles and candies and just as decorative items. 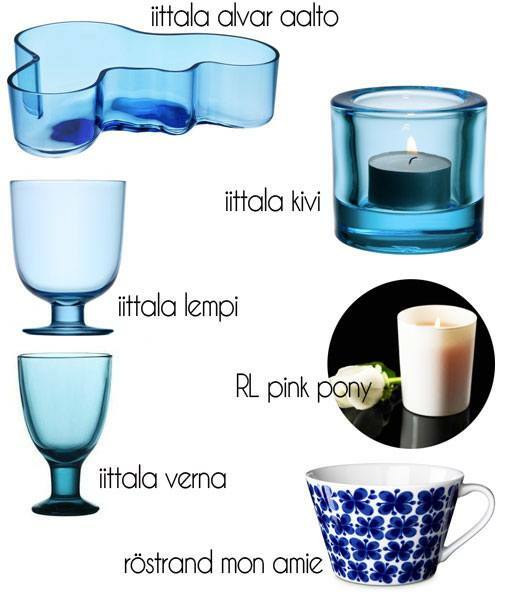 The iittala Kivi Candle Holder ($20) are less expensive and they look great grouped together. I also added one iittala Kartio tumbler, and two Iittala Verna glasses on the tray to give height. The Verna glasses are older Iittala collection and no longer available but I didn’t want to risk my new Iittala Lempi glasses which would also have worked. Ralph Lauren Pink Pony candle ($45) shows its support for the Pink Pony Fund in a pink hue, and it’s one of my favorite candles for the charity, the look and the scent. Maybe not the perfect match for the rest of the products, but it works. I also added some old semi tasse coffee cups with plates and the Röstrand Mon Amie cups have a little bit the same look as my Grandmother’s old cups have. 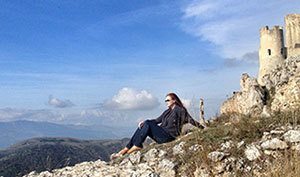 But the point is – it doesn’t all have to be a perfect color match and it actually looks better when you add unexpected surprises in the mix as well. Love the blue and white together. Ha, it’s still raining.. but we bought a grill already, and really hoping we’ll get to use it this weekend, it’s a four day weekend here. I love these. I was just looking at each item closely, thinking I love those blue candle holders with flowers, when I read your statement that they were cups from your grandmother. I looked again and then saw the handles :-) They are lovely. I bet that really gives a warm, cheery vibe to the room. I hope you have spring weather to BBQ this weekend!